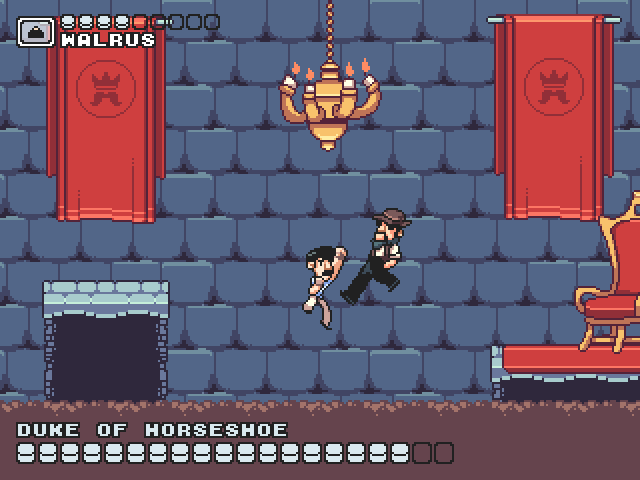 Moustache King Adventure is an action Platformer in the same vein as Castlevania or Zelda II. 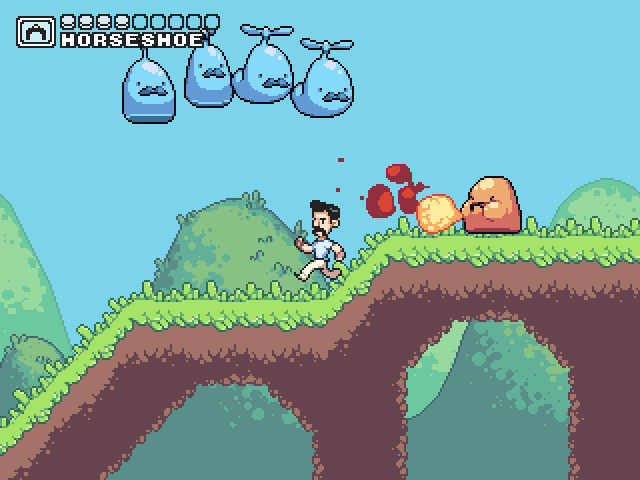 The game stars Moustachio, a young man determined to improve his moustache by fighting his way up the moustachracy until the day he can become the moustache king. Moustache King Adventure was designed for the A Game By Its Cover competition. 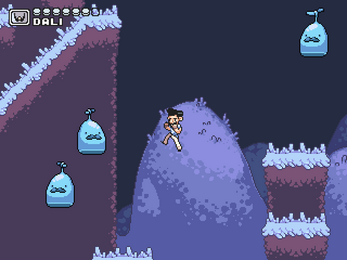 The premise of the competition is to design an a game based upon a previously existing fictitious game cartridge. Moustache King Adventure was based upon Moustache King Adventure by Niko Lanzuisi.